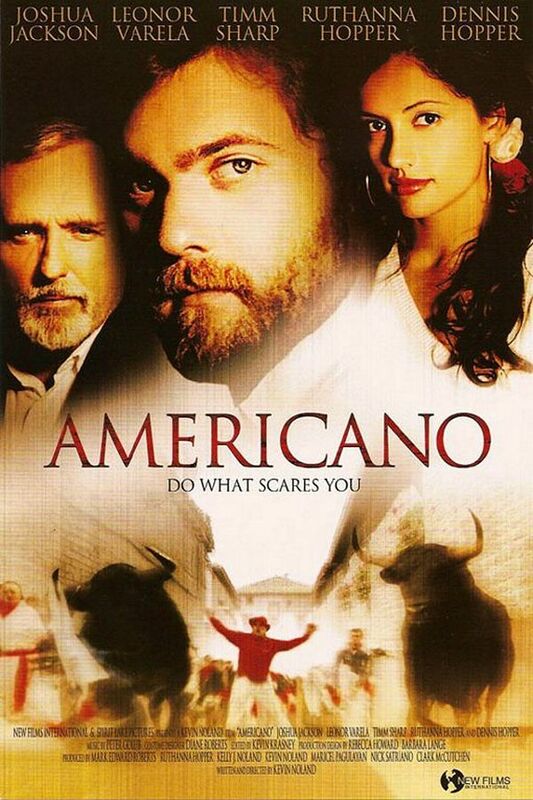 Americano font here refers to the font used in the poster of Americano, which is a 2005 movie that centers on a college graduate backpacking through Europe. The font used for the movie title in the poster is probably Trajan, a serif based on the inscription on the base of the Trajan column in Rome. More details about it can be found here. In addition to Americano, Trajan typeface is also used in the following logos, movie posters or album covers etc., including: Brown Forman, Minority Report, Legally Blonde, Passione, Flags of Our Fathers, Face of Mankind, Memoirs of a Geisha, The Water Horse, City of Angels, Turning Point USA, I Am Legend, Quiz Show, Princess Cruises, Challenger (Memphis May Fire), LucasArts Logo.